What is a Window’s U-Value? If you are looking to heat your home in a cost-effective manner, you should consider your insulation. A room that isn’t insulated loses heat through thermal transfer and loss of heated air. Windows are a big culprit for this, as heat is lost through the glass. 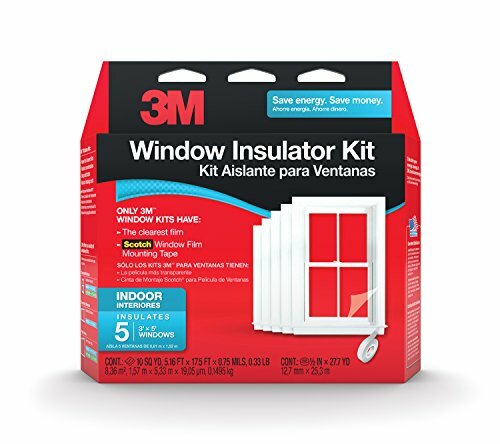 For a cheap solution, you can install window insulation kits. Comprising of a film that covers the windows to help retain heat, these kits can reduce heat loss by 90% if installed correctly. Check out this guide to understand how they work and the best types you can find on the market today. While windows are designed to brighten a room by letting the light in, the material they are made from can make a considerable difference to the temperature of the room. This is because the outside temperature is conducted through the material of the window, while warm air is lost through windows cracks or thin materials. Affected by solar radiation and the circulation of air, the quality of a window and its insulation will make a difference to the warmth of the room. The energy efficiency of a window refers to its capacity to insulate the room, locking in the heat. The thermal transmission through a window gives us an indication of how well it insulates the room. In the window industry, this is reflected via the U-Value of a window. 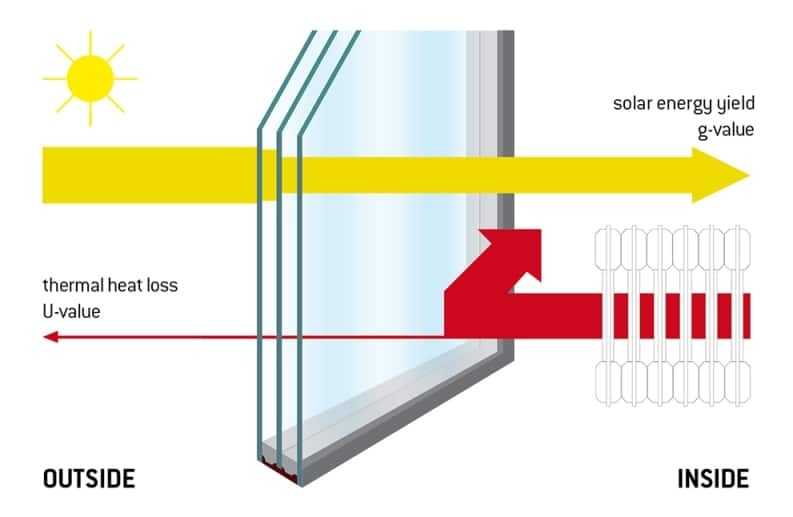 A lower U-value results in less heat loss from a room via the windows. Very energy efficient windows tend to have U-values as low as 0.61 W/m2K. Window insulation kits can be very beneficial to helping improve the insulation effects of windows. However, there are a couple of things to consider when installing window insulation kits. Window insulation kits can cut down the costs of heating by 30-40%. Easy to come by, these kits help to improve the heat retention of a room, which means less heat is required to continuously heat the room. You can use heat less and keep the thermostat lower. The films that attach to windows insulation kits help add extra security. They prevent people from seeing inside, while the film provides a protective layer. This prevents the window from shattering if smashed. The films are designed to block out UV rays from the sun. This protects furniture as UV rays can fade fabrics and other materials. Insulation kits for windows are usually quite inexpensive. Window insulation kits can be a little difficult to install neatly due to the nooks and crannies of window latches and so on. By putting a film on your window, you may be voiding the window warranty. Make sure you read the small print on this first. Not all window insulation kits are made equal. Cheaper kits may be of lower quality, and will not provide all the stated benefits. 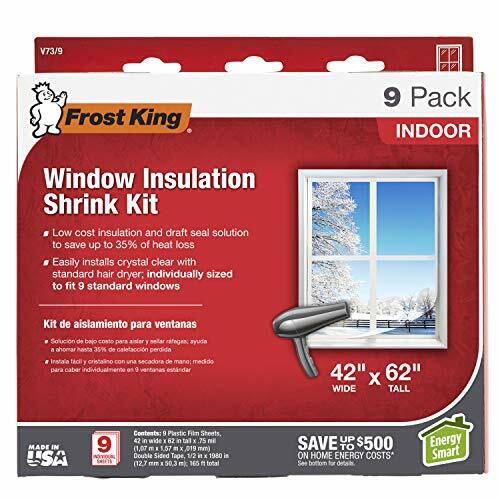 If your house is feeling a little breezy and you can feel heat escaping from the windows, now might be the right time to invest in a window insulation kit. Here are some high-quality insulation kits currently available and a breakdown of their features. Take a look to help you in your decision-making process. This film is clear and measures 62 x 210 inches. It comes with double tape to attach the window film and can insulate 2 foot by 5-foot windows. This kit is easy to install if you follow the instructions with care. A clear solution, it doesn’t block out light but works well to retain heat. This kit comes with a film sheet measuring 5.16 feet by 17.5 feet and two rolls of adhesive tape. Designed for 3 foot by 5-foot windows, this film is wrinkle-free and clear. While you may need better tape to fix these up, they retain heat well without blocking the light. This film needs to be cleaned frequently, but it is easy to install and is highly efficient. 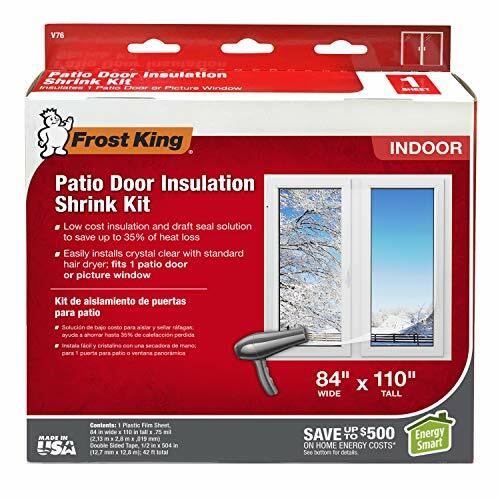 Designed for indoor use, this insulation kit comes complete with nine sheets of film for insulating windows. 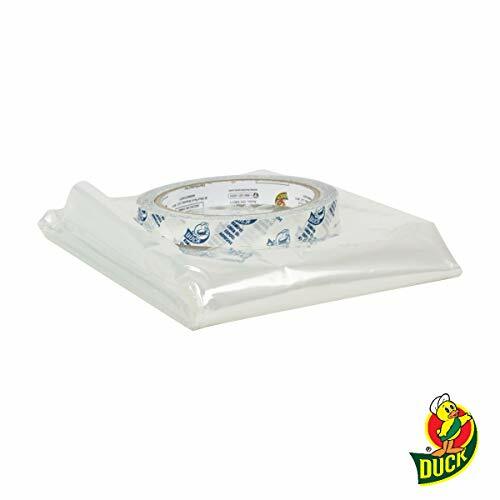 Each clear sheet measures 42 inches by 62 inches and includes tape for installation. These sheets need to be installed correctly but can be easily modified to fit the shape of your windows. They keep dust out, as well as locking in warmth, but the tape is a little sticky, making it difficult to install these sheets. 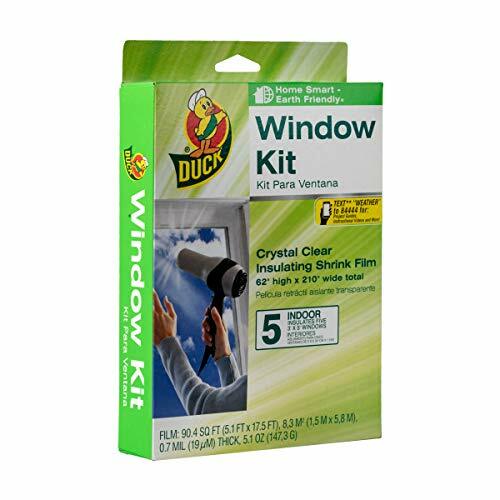 This kit includes enough film to cover three standard sized windows. It is easy to install and remove, without leaving sticky marks. The film is transparent and the kit includes tape. Highly durable, these double thick films are extremely energy efficient. The tape isn’t all that great and do not to stick it to paint. Aside from this, these heavy-duty films are a great choice for installing and taking down each season. With tape included, this kit comes with film measuring 84 inches by 110 inches. Ideal for use on patio doors or large windows, this kit is designed for indoor use. This kit is engineered to seal out dust as well as drafts. Very Strong and Resistant to Punctures. When using this kit, make sure to follow the instructions carefully to get wrinkles out using a hairdryer. While tape isn’t all that strong, the film is very durable, yet can be cut down to size if needed. With enough film to fit five standard size windows, this kit shrinks tightly, which helps to iron out wrinkles. This kit improves energy efficiency by 90% while preventing drafts and dust. Once you’ve mastered the instructions, you’ll find that despite the thinner plastic, this kit is extremely effective. Though easy to put up, you may need to invest in stronger tape. Clean up well - Always clean the windows and the window panes first. Make sure to scrub them so that they are squeaky clean. If the window has dust and debris on it, the tape won’t stick effectively resulting in the film falling down. Don’t skimp on the tape - cover all the sides with tape. If you leave gaps, air will get inside, especially when it is windy. This will pull the film off the windows. Measure thrice - Before buying a window film kit or cutting the film to fit, measure your window three times. This will make ensure accurate measurements. Top to bottom - When applying the film, apply slowly from top to bottom. Work your way down, smoothing the film as you go, making sure it’s straight with no wrinkles. Blow dry it - Use a hair dryer to help get wrinkles out by heating the wrinkled area and running a ruler along the wrinkle. The heat will also cause the film to shrink, stretching it to iron out creases. If you are looking for a cost-effective way to help retain the heat in your home, try window insulation kits. They improve the energy efficiency of your heating process by blocking heat from exiting your windows via thermal transmission. 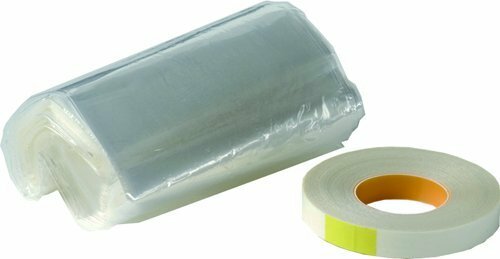 Designed for easy installation, you’ll find you might want to buy some extra heavy duty tape, as the tape included with most window insulation kits is a little weak.